Prices 4 U | Furniture & Appliance Movers By MagiGLIDE 4 Pack 40mm Disc. The ULTIMATE Glider For Furniture & Appliances With Complete Floor Protection, Endorsed By Karndean Designflooring. 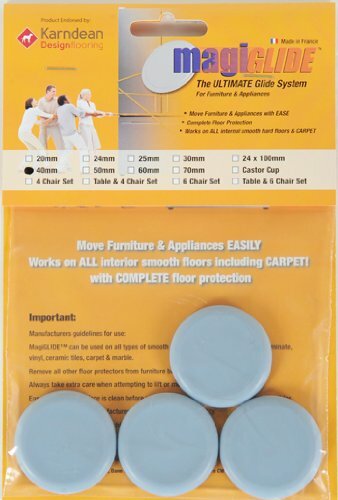 Furniture & Appliance Movers by MagiGLIDE 4 Pack 40mm Disc. The ULTIMATE glider for furniture & appliances with complete floor protection, endorsed by Karndean Designflooring. Allows furniture and appliances to move with ease whilst protecting your floor. Simple to fit with self adhesive pad. Watch MagiGlide on you tube or go to our website to see our range and to select the right glider for your needs. The glider should always be the same size or smaller than the foot being fitted. When using on washing machines we recommend floors should be level & the drum is balanced. MagiGLIDE (TM) gliders ares made from elastomer rubber which helps to suspend the weight of the furniture / appliance. It is this raw material that makes it superior to any other furniture & appliance glider in the world. 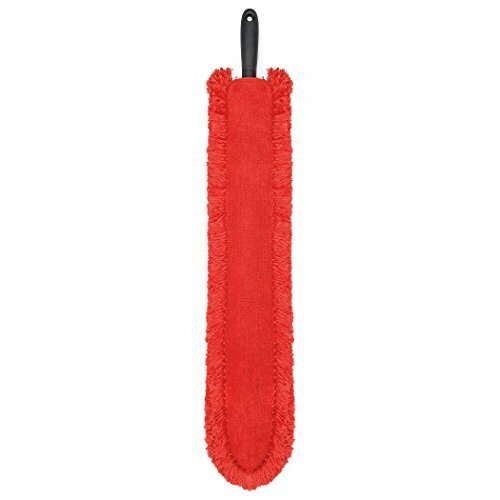 The bottom of the glider is coated with a heavy layer of PTFE which ensures smooth friction free movement across any smooth interior surface including carpet. MagiGLIDE(TM) is a registered trademark with world patent until 2024. Product should not be compared to other PTFE coated plastic gliders.